Hall of Fame Class of 2017: Nine outstanding engineers were inducted to the college's inaugural Hall of Fame on Feb 15, 2017, followed by a public unveiling event the day after. The College of Engineering has more than 27,000 alumni, many of whom are very accomplished. The college's Hall of Fame recognizes distinguished engineers and their achievements to inspire future generations of engineers. From helping usher in the era of digital television to guiding the development of California's most recognizable structures, each inductee has made meaningful contributions deserving of honor and preservation. The goals of this event are to showcase distinguished engineers and their achievements in a public and highly visible way to inspire future generations of engineers, and to enhance partnerships with industry and the community. Faculty, staff, and students from across campus who participate in the Engineering Hall of Fame event will learn about engineers and their achievements; students will be inspired to Dream Big as they continue to pursue their education; the campus community will learn about the diversity within engineering; and partnerships will be enhanced within the campus community and with industry representatives and alumni. 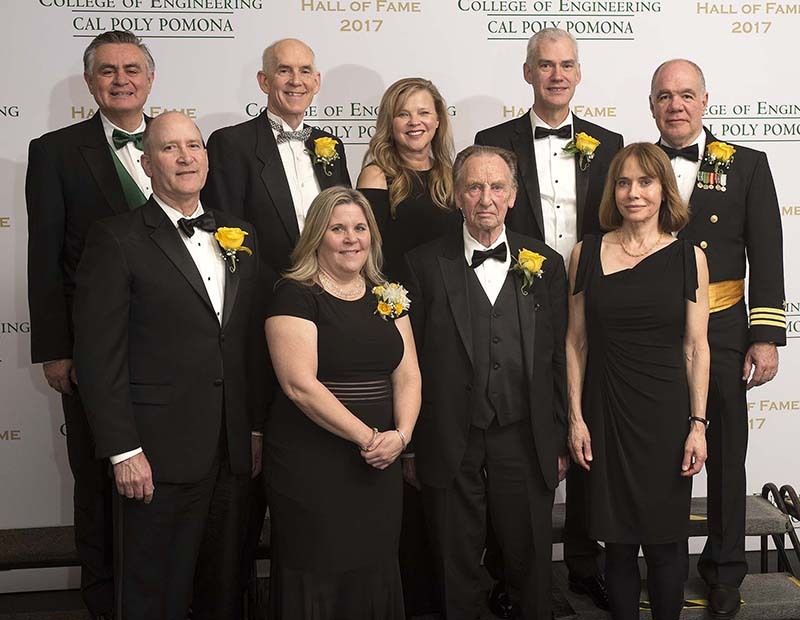 The College of Engineering Hall of Fame honors and preserves the outstanding accomplishments and contributions of individual engineers who have close affiliation with Cal Poly Pomona and the College of Engineering. Inductees will have distinguished themselves in the engineering or academic community through their leadership and professional achievements and have brought distinction to the programs of the College of Engineering. It is our hope, this effort will work to inspire current and future students and strengthen our connections with our best and brightest alumni. Special attention is paid to candidates who would be an outstanding role model in their community, in particular from historically underrepresented groups. Hall of Fame goals, objectives, and selection process were guided by the Dean’s Leadership Board Hall of Fame subcommittee. Nominations for future Hall of Fame ceremonies may be submitted to engineering@cpp.edu for consideration.